Beijing (FN), Jan. 22 – Mobilizing investors to invest in Cambodia in order to boost national economy and promote livelihoods is the prerequisite mission of Prime Minister Hun Sen.
Presiding over the China-Cambodia Business and Investment Promotion Forum on Tuesday morning, attended by 700 other Cambodian and Chinese dignitaries and distinguished guests, the Premier stated that Cambodia has implemented deep reforms to increase competitiveness and ensure economic independent. In early January, Head of the Royal Government ordered only customs and immigration take charge of the border gates, removing the other unnecessary institutions. “The decision was made to ease importing and exporting processes, reduce costs of inputs, and improve investment and business climate, thus promote the kingdom’s competitiveness,” the premier clarified. (5) Good incentive and investment protection agreements signed by Cambodia-China. 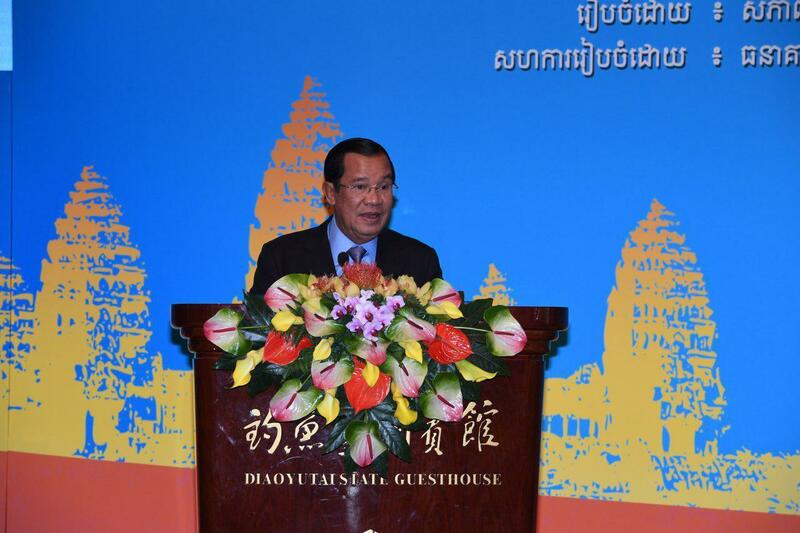 According to the Strongman, Cambodia-China agreed to promote trade worth up to $10 billion by 2023. 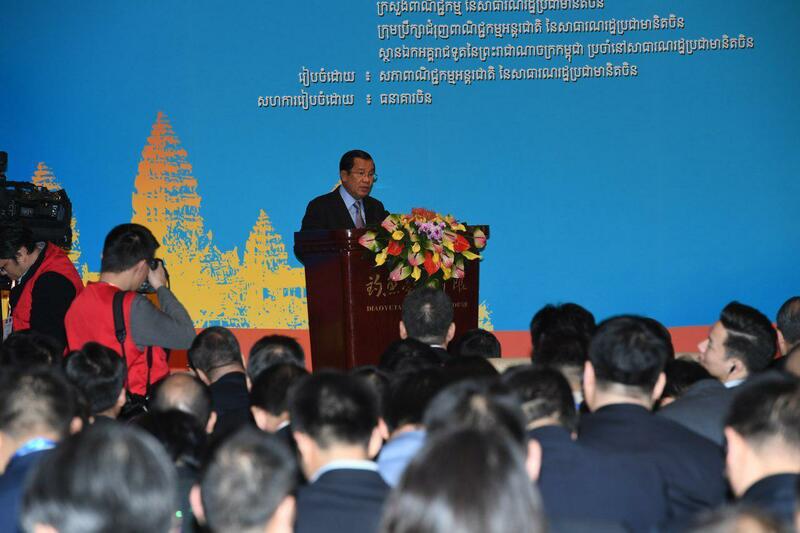 As of 2018, the two countries' trade volume reached over $5 billion, as China has become largest market for Cambodian rice and fruit. 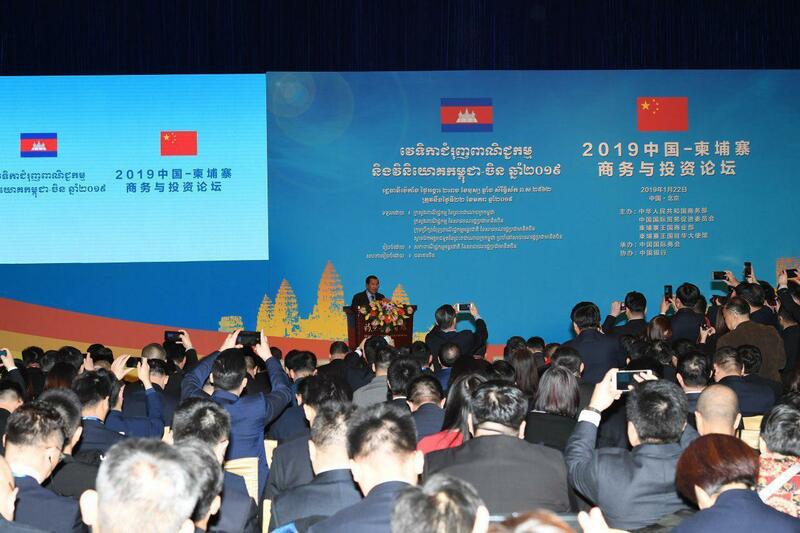 China also has the greatest investment capital in Cambodia, accounting for $3.6 billion, an equivalent to 53% of total investment in the kingdom.